Storytelling has been used to retain and pass down knowledge throughout history. When we think of some of the defining works of civilisation, one which comes immediately to mind is Homer’s Iliad. Composed nearly 3,000 years ago, the Iliad is an epic tale of gods and heroes. But the academic consensus is that the story appears to be at least rooted in fact! Weaving an epic narrative around these historical events doesn’t just make them more engaging, it makes them easier to remember and share. Homer’s world was one without widespread writing, where the best way to transfer knowledge was orally. By using narrative, Homer was able to memorise more than 15,000 lines of text and deliver them all across the Ancient Greek world. Not only that, but his audiences were able to retain the information well enough to reproduce it and record it for the ages! 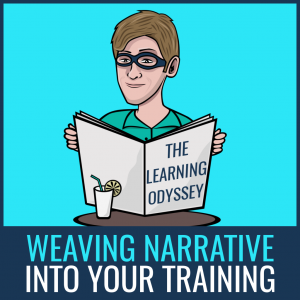 Imagine being able to capture that power of storytelling and use it for your training programme. Your training would be so effective that your learners would retain that knowledge for the rest of time! It’s an obvious first step, but a very important one. Once you have all of the functionality of a customisable learning platform, it can be hard to know where to start. Before you rush head-first into your narrative, you need to plan it out properly. What is the premise? What role will your learners play? Can you build on the story enough to stretch it out across the length of your training programme? The story doesn’t have to be anything complex. 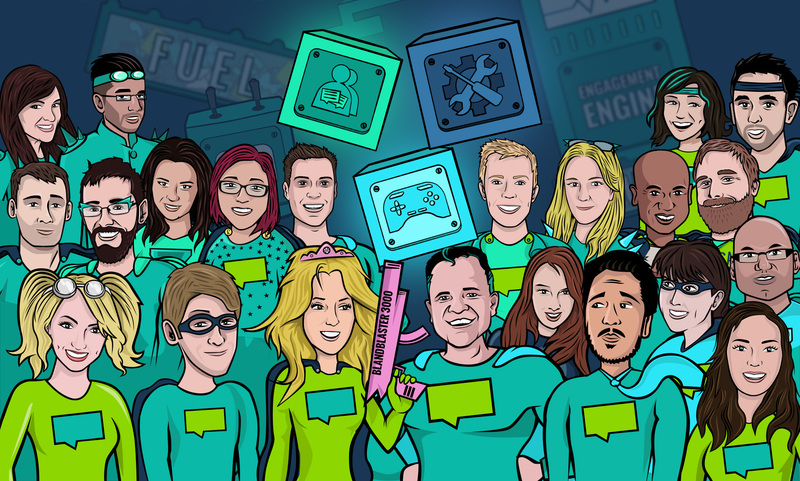 It could see your learners take on the role of superheroes fighting to save the world, or it could take place within an office, seeing them rise up the ranks from rookie to CEO. The crucial thing is to make sure that your narrative properly aligns with your company’s mission and culture. Get that right and your learners will have a much easier time getting engaged with it! What good is a story without characters? Characters help bring narratives to life, because people are able to relate to them and put themselves in their shoes. Your narrative should include a small cast of diverse characters, each with their own particular strengths. This keeps things simple, but makes it clear that if Larry the Legal Eagle shows up then you’re in for some exciting legal training! 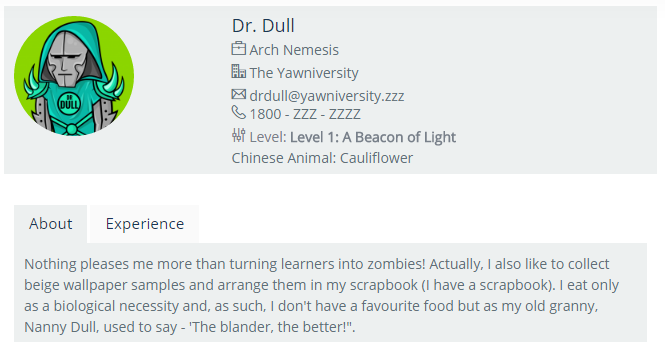 To add an extra layer of immersion, why not set up accounts for these characters on your LMS? We do this to allow learners to interact with the characters, and help draw them into the narrative. 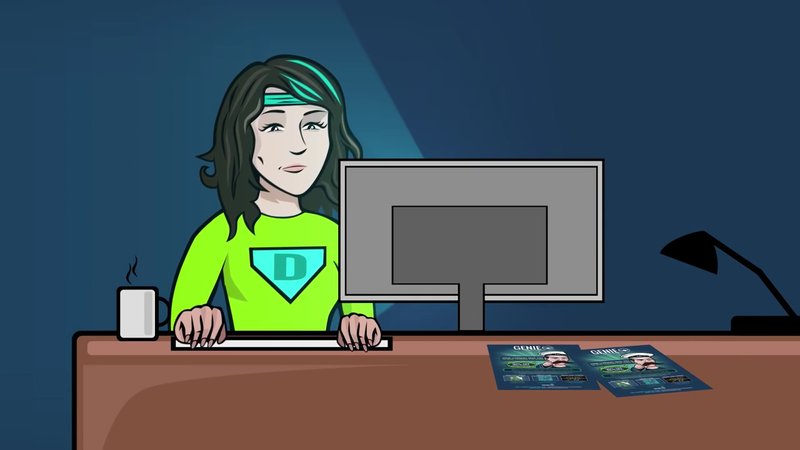 If you’re using a gamified LMS, then you should have access to levels. As a learner works their way through your training programme, they’ll level up and gain access to new content, giving them a clear sense of progression. Levels are a fantastic engagement tool, but they’re also a great way to deliver your narrative! 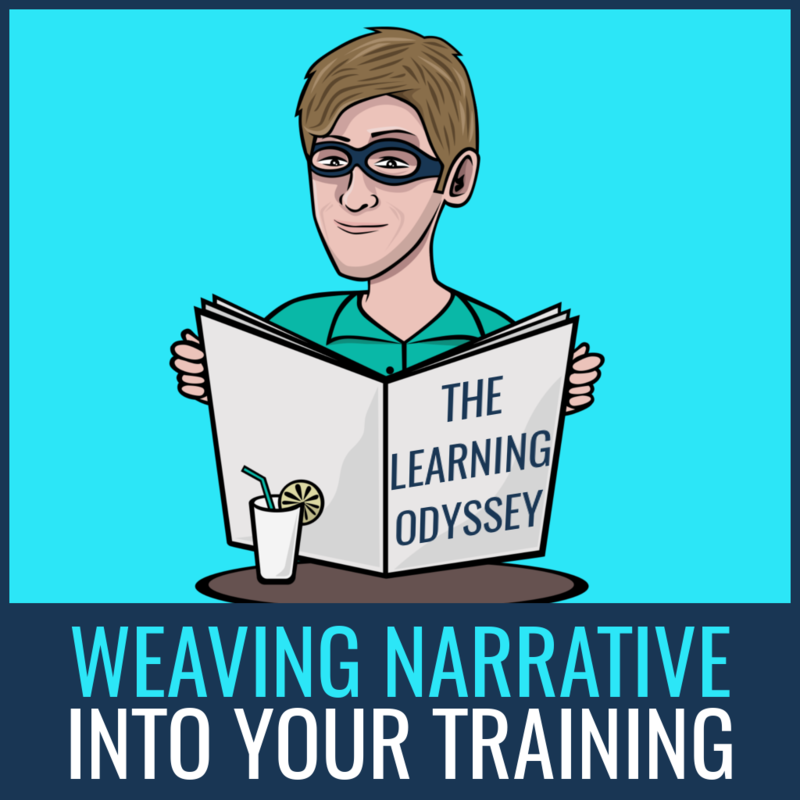 If you set each level at a different stage in the story, then as the learner progresses through the content, they’ll also progress through the narrative. 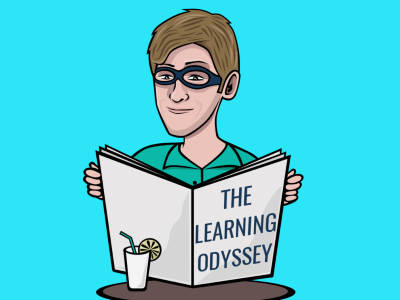 For example, on our Academy Superheroes site, used to train our customers, our narrative is all about turning zombie learners into learning superheroes. So while the narrative starts off gloomy with just a glimmer of hope, it brightens up as the learner progresses, helping them to feel more powerful! Your learners aren’t expecting to come into your training programme to read a novel. With your story mapped out, it’s time to make it visual with images and videos! This imagery can be used across your training programme to tell the story. It can be used for banners on your LMS, badge designs, or just about anything else. Plus, as we’ve mentioned before, consistent imagery can tie all of the different aspects of a learning programme together. Any time they see that imagery, your learners can tell that they’re about to embark on some training, and towards the next big chapter in the story! Everything you do putting together the backdrop for your learning programme could be undone if you don’t get the content right. If you start pushing out bland, unbranded pieces of training, then you’ll end up with a disconnect between content and training programme as a whole. Instead, weave your narrative into the content itself, and use relevant characters wherever you can. For example, if you have a character named Professor Products, then he should show up whenever you deliver your product training. With the content tied into the rest of the programme, it will be clear to your learners how it’s helping them to grow and progress, making it much more engaging! Congratulations! Your narrative is properly planned out, you’ve got the perfect imagery to boot, and your content is fully entwined with the story. Now your training programme will take on a much greater Epic Meaning, and is sure to be talked about for centuries to come! How’s that for happily ever after?